Here are three things we learned from the First PREMIER Bank PREMIER Bankcard Invitational this weekend at the Denny Sanford PREMIER Center. History did not repeat itself in Sioux Falls when titans J.B. Mauney and Pearl Harbor matched up in the championship round. Two years after Mauney made a memorable 94.25 points on the back of Pearl Harbor inside the Denny Sanford PREMIER Center, it was Pearl Harbor launching the two-time World Champion to the dirt in 2.17 seconds. 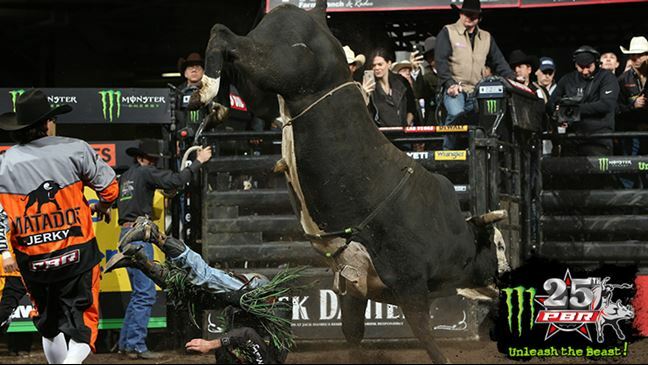 Pearl Harbor was marked 47 points, while Mauney had to be attended to by the PBR Sports Medicine Team after landing on his shoulders and folding over. Mauney was diagnosed by Dr. Tandy Freeman with a back injury and was transported to a local hospital to undergo further evaluation and a CT scan. Chad Berger was thrilled with his bull’s performance, but he certainly was not happy to see Mauney go down. Pearl Harbor’s second consecutive 47-plus out has him right on the cusp of surpassing two-time World CHampion Bull SweetPro’s Bruiser for the No. 1 ranking. Pearl Harbor raised his World Champion Bull average to 45.94. He is .03 points behind Bruiser (45.97). Mauney selected Pearl Harbor with the 12th pick of the championship round draft and his motor was revving for the matchup from the word go. The 31-year-old was jokingly taunting Berger behind the bucking chutes and had an eye of confidence before the gate opened. Mauney is now 1-3 against Pearl Harbor, but Berger says that once Mauney he is healthy you can expect another showdown. Jess Lockwood began his final push at the 2017 World Championship aboard Big Dutch at the 2017 World Finals, and he may have begun his true climb at defending his world title in 2018 aboard Gene Owen and Jane Clark’s bovine athlete. Lockwood rode Big Dutch for 91 points on Sunday afternoon and then looked on as Kaique Pacheco bucked off Shelley’s Gangster in 4.18 seconds to win his first 25th PBR: Unleash The Beast event of the year. “I knew he was going to be bad in the chutes,” Lockwood said. “Shoot, really the hardest part of him is getting out on him because God it takes forever. It started to piss me off. The 20-year-old went 3-for-4 in Sioux Falls, winning both rounds on Sunday afternoon, to surge to seventh in the world standings by earning 760 world points. Lockwood is only 215 points behind world leader Ramon de Lima in an extremely tight title race. Jose Vitor Leme’s second-place finish (3-for-4, 415 world points) has the 21-year-old up to third in the world standings. He trails Lima by 60 world points. Meanwhile, the Top 8 riders in the world standings are separated by less than 275 points. Rounding out the Top 5 was Cooper Davis (2-for-4, 235 world points), Pacheco and Brennon Eldred (2-for-4, 127.5 world points). Lockwood, though, is heating up after missing the Ak-Chin Invitational, presented by Cooper Tires, in Glendale, Arizona, because of a hand injury. Lockwood had placed second in Round 1 with 87.75 points on Smoke Signals bounced back from his Round 2 buckoff against I Always Stand (7.57 seconds) Saturday night in dominant fashion on Sunday. He won Round 3 with 88 points on Hangman and then selected Big Dutch with the second pick of the draft. Even though Pacheco was unable to win his first event of the year, the 23-year-old believes he finally has gotten things back on track. Pacheco finished 3-for-4 in Sioux Falls and saw his streak of seven consecutive rides come to an end. Still, his seven rides in two events is a huge improvement from his 7-for-27 run during the season’s first 11 events. Pacheco rode Red Sails In The Sunset (86.75 points), Line Me Up (84.75 points) and Element 79 (83 points). 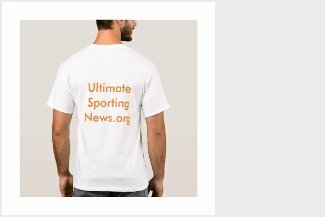 If Pacheco believes he is truly healthy and back to his prior form, it may be only one more week before he is back in the Top 10. Pacheco heads into next weekend’s Tacoma Invitational, presented by Cooper Tires, ranked 11th in the world standings. Fabiano Vieira was unable to compete in the championship round because of a bruised knee trying to get out of the chute aboard Acting Crazy. Brady Oleson did not compete in Round 3 in Sioux Falls after spraining his right wrist (riding hand, TFCC) and dislocating his left shoulder when he was bucked off by Acting Crazy (3.25 seconds) in Round 2 on Saturday. Oleson said he will likely need to get shoulder surgery, which would put him out of competition for six months. SIOUX FALLS, S.D. – Here are three things we learned from Round 2 of the First PREMIER Bank PREMIER Bankcard Invitational Saturday night at the Denny Sanford PREMIER Center. Lockwood will face I Always Stand (37-7, PBR UTB) in Round 2 on Saturday night. Fans can watch Round 2 exclusively on RidePass beginning at 7:30 p.m. ET.